IT ASIA develops Software for Tablets. We can make local autonomous apps or strong Database professional applications. 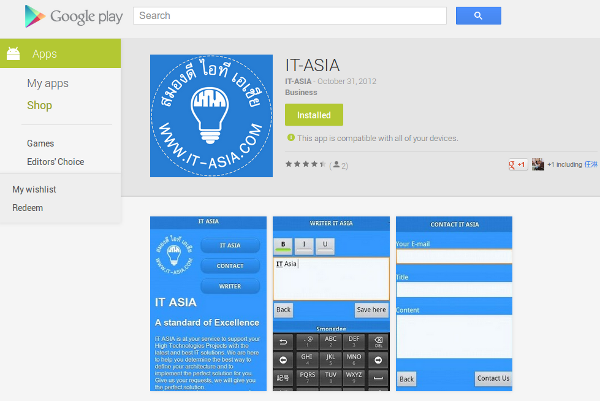 IT ASIA developed an Android Brochure to promote our business. 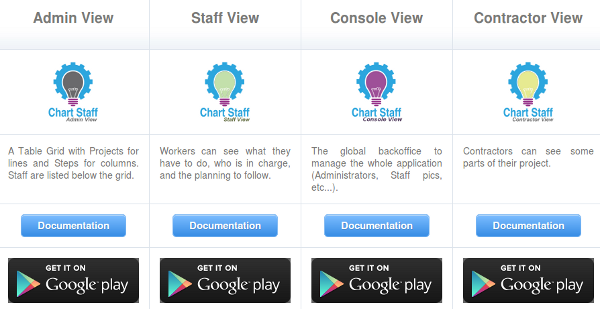 The apps has one page to introduce the company, on contact form and a rtf writer. It's the perfect Virtual Business Card. We can adapt this apps to your colors and your business.